"Cognitive Dissonance Theory and the Induced-Compliance Paradigm: Concerns for Teaching Religious Studies"
Cognitive Dissonance Theory and the Induced-Compliance Paradigm pose some interesting questions for those teaching religious studies in publicly funded colleges and universities. Given that religious beliefs can be challenged by the historical-critical study of scriptures, for example, and that the cognitive dissonance generated when this occurs can result in unconscious alteration of beliefs and attitudes, it is vital to make explicit the potential for manipulation of student beliefs. The author asks what, if any, responsibilities are implied for the instructor. 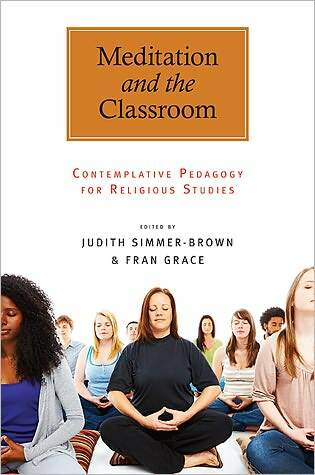 What is contemplative pedagogy and how is it practiced in Religious Studies classrooms? Contemplative pedagogy cultivates inner awareness through first-person investigations, often called “contemplative practices.” Contemplative teaching practices range widely: silent sitting meditation, compassion practices, walking meditation, deep listening, mindfulness, yoga, calligraphy, chant, guided meditations, nature observation, self-inquiry, and many others. Since narrative is a mode of instruction prevalent in contemplative literature, the article includes first-hand reflections from students and a narrative account of how an initially skeptical professor came to incorporate contemplative teaching methods into her courses. It expands from the personal narratives to highlight the work of many contemplative professors in the field. These real-life examples are put into the context of recent publications on shifts in higher education and meditation research. The article seeks to demonstrate the power of contemplative teaching to fulfill many hopes for liberal arts learning. Of particular importance is its emphasis on interior qualities of lifelong impact, such as self-knowledge and ethical cultivation. "Contemplative Pedagogy: Frequently Asked Questions"
Contemplative Pedagogy is a new and sometimes controversial pedagogical practice. Faculty often have basic questions about how to implement the pedagogy in their classrooms, in addition to questions that challenge the educational value and appropriateness of the practice. Assembled here are the most frequently asked questions about Contemplative Pedagogy, with responses from six contemplative professors, each from a different institutional and philosophical location. The respondents are founding members of the Contemplative Studies Consultation of the American Academy of Religion. The diversity of views expressed by the respondents invites the reader to see that there is no single theory or praxis of contemplative pedagogy. Much debate exists regarding the purpose of education. This article explores the idea that religious education can be used to inspire change and action in the lives of students beyond the classroom. We describe a study of students who took a required religion class at a private religious university. The intended outcomes of the class centered on encouraging students to make the following changes in their lives: to develop a habit of regular scripture study, to use new methods to study the scriptures, and to make positive choices in their lives. Specific assignments were designed to encourage these outcomes. At the end of the semester, students were surveyed as to whether they had made changes in their lives in these three areas. The vast majority of students reported that they had made changes in their lives because of assignments given in the class. Implications and limitations are discussed. Palmer and Zajonc have issued a compelling call for change and renewal in higher education. They show us how colleges and universities can be transformed by taking a more integrated approach to teaching and learning that focuses on the inner lives of their students and faculty. At a moment when many are dreaming of an integrative form of higher education that unites intellectual rigor with compassion and love, Palmer and Zajonc invite us to engage in conversations designed to infuse the academy with meaning, purpose, and soul. For those who yearn to transform colleges and universities from sterile, vacuous spaces to places of hope, possibility, and respect for everything human, this is the book you have been waiting for. Parker Palmer and Arthur Zajonc call for a renewal of our commitment to inspiring deeper thinking and educating the whole person. This book should and will inspire debate about our larger purpose, about how we can go beyond the traditional silos in which we work for the sake of individual and institutional transformation. Gross, Neil, and Simmons, Solon, eds. Abstract: Professors and Their Politics tackles the assumption that universities are ivory towers of radicalism with the potential to corrupt conservative youth. Neil Gross and Solon Simmons gather the work of leading sociologists, historians, and other researchers interested in the relationship between politics and higher education to present evidence to the contrary. In eleven meaty chapters, contributors describe the political makeup of American academia today, consider the causes of its liberal tilt, discuss the college experience for politically conservative students, and delve into historical debates about professorial politics. A generous and inspiring book! In the spirit of 'convocation,' Nash and Murray call together both university faculty and student affairs professionals to provide them new means for helping more college students realize the highest purpose of higher education—that, in pursuing the means to make a living, one comes to make a meaning worth living for. Educators across campuses—faculty and administrators alike—will find in this book not only the importance of helping their students construct meaning upon which to base their academic and life ambitions, but also practical suggestions for doing so. Ultimately, those who will benefit most from this book are students whose education inside and outside the classroom is informed by the type of cross-campus, interdisciplinary approach to meaning-making put forth by the authors. This comprehensive compendium is a must-read for any higher education professional interested in responding to students' ubiquitous concerns about existential issues concerning purpose and meaning. It brings together classical and contemporary thought, conceptual depth, and concrete suggestions for practice. This scholarship is enriched and enlivened by the authors' personal perspectives and experiences, and by student voices and vignettes. Buy it and keep it handy as a source of wisdom and good counsel. ch. 1 Is the Quarterlife Generation Ready for Meaning-Making? ch. 3 Finding Meaning in Religion and Spirituality: Why Can’t My Faith Be Cool? "Teaching Liberal Arts Undergraduates about Hinduism amid Theoretical and Political Contestation Today"
As the number of people of South Asian heritage in America has greatly increased over recent decades, the study and teaching of Hinduism has come under ever greater scrutiny. During this time, the number of students of Indian background has vastly increased in some schools in some parts of the United States. This increased presence and scrutiny has had some salutary effects, including greater attention to and accountability in our field, but has also led to some unwelcome conflict and feelings of misrepresentation by both academics and adherents. Some of us are in the perplexing position of being keenly aware of and in conversation about tensions elsewhere, yet still having few (or no) Hindu students in our own classrooms. This essay will discuss two matters given this background: first, I will describe how I present Hindu religious traditions in my local context, and then I will offer some more general reflections on teaching and researching Hinduism in the United States today. "Advocacy in Academe: Academic versus Confessional Theology"
White Paper and the Working Group Papers for a 2008 Teagle funded conference with participants from Bucknell University, Macalester College, Vassar College, and Williams College. Asking: how secular assumptions both enable and limit the questions of meaning and purpose that are central to liberal arts education. "WWJD? ": Should Christian Scholars Bring Their Religion to Work?" This article emphasizes the need for religious educators to address the issue of divine violence in Scripture with students, and it offers various pedagogical strategies for doing so. The focus is on violent Old Testament texts, with special attention given to the issue of Canaanite genocide. A general framework for structuring class time around divine violence in Scripture is proposed which includes (1) encouraging students to encounter violent biblical texts firsthand, (2) helping them understand why people find these passages problematic, and (3) offering various options for dealing with the potential problems these passages raise. In the second half of the article, significant attention is devoted to a number of practical considerations that should be taken into account when talking about this sensitive issue in class. A brief word about assessment is offered at the end. "Spiritual Formation Goes to College: Class-Related "Soul Projects" in Christian Higher Education"
Spiritual formation is both an opportunity and a challenge for educators in Christian colleges and seminaries. How can students be nurtured and guided in developing spiritually within the curriculum? Drawing on a number of educators, studies, and arguments, this article develops a rationale for engaging in spiritual formation and for the use of practical assignments or "soul projects." A selection of such projects is grouped into genres, followed by a brief exploration of best practices and an evaluation of such assignments. "Handling Doubt in Teaching Religion: A Turkish Case Study"
This study ventures to sketch the dimensions of stress in religious thinking among young Muslims studying theology in Turkish universities and the ways in which these tensions are handled in educational institutions. As a result of a review of related literature, together with the use of a questionnaire with 382 respondents and interviews with 15 participants, the extent of experienced intense religious stress, the source, the content, the ways of resolution, the duration, and the period of religious stress were identified. Finally, the cognitive, educational, theological, and socio-cultural challenges to which young Muslims were exposed were delineated and possible ways to overcome these problems were outlined, with some suggestions for educational settings. The return of religious ways of knowing in the academy could be called a "post-secular revolution." "This paper is a guided tour of the movement to reconnect religion and knowledge, a group portrait of the individuals and organizations behind the growing prominence of religious scholarship." Extensive bibliography. "Personal Self-Disclosure, Religious Studies Pedagogy, and the Skeptical Mission of the Public University"
Contemplative Studies—meaning both standard “third-person” study of contemplative traditions in history and various cultures as well as actual “first-person” practice of contemplative exercises as part of coursework—is a new field in academia, and aspects have been controversial in some quarters, seen as not completely compatible with the rigorous “critical inquiry” of liberal arts study. While there are agendas within contemplative studies (CS) that go beyond the traditional questions and issues of liberal education, I want to argue that CS has, for a number of reasons, a place right at the heart of such inquiry. CS can be approached from many disciplines, including psychology, medicine, and neuroscience, as well as literature and visual, fine, and performing arts, but here I will focus on its place in liberal arts generally, and in religious studies specifically. The Religion in the Academy (RITA) project focuses on the many ways that religion, spirituality, and big questions of human meaning and purpose can enhance learning at colleges and universities. One page TTR Teaching Tactic: Scaffolded activities and assignments beginning the first day of class to help students engage significant life questions in the Bible. Kuklick, Bruce and D.G. Hart, eds. ch. 1 The Convergence of Liberal Education and Contemplative Education—Inevitable? ch. 3 Contemplative Studies: Can It Flourish in the Religious Studies Classrom? ch. 26 Meditation in the Classroom: What Do the Students Say They Learn? "Spirituality in Higher Education: A National Study of Spirituality in Higher Education: Student's Search for Meaning and Purpose"
ch. 4	What Difference Could It Possibly Make? “Big Questions” in the Introductory Religion Classroom: Expanding the Integrative Approach"
Recent research by Barbara Walvoord suggests a perceived disparity between faculty learning objectives and students' desire to engage “big questions” in the introductory religion classroom. Faculty opinions of such questions are varied, ranging from a refusal to employ any approach that diverts attention away from critical thinking, to a willingness to integrate personal questions of meaning and purpose into the introductory religion course. This essay argues that, in light of work currently being done by such developmental theorists as Sharon Daloz Parks and Marcia Baxter Magolda, the integrative approach has much to commend it. It concludes with suggestions for how religion faculty can expand this approach through learning covenants, service learning, and seeing the religion classroom as a gateway to various mentoring communities on campus. Many college students are interested in spirituality and the "big questions" about life's meaning and values, but many professors seem not to know how to respond to that interest. In this article, the author offers several strategies to help students confront the "big questions". One way is to structure assignments and discussions so that students can have a chance to bring critical thinking directly into relationship with their own experiences and beliefs. In this excerpt from Kugel's controversial How to Read the Bible, the author argues—with rich citation and documentation—that academic biblical studies is rife with an "unmistakably apologetic tone" of which even its most self-avowedly "critical" practitioners are largely unaware. The implication is that academic biblical studies, practiced as it is overwhelmingly by people of faith, does not achieve the honesty about the texts' "strangeness" characteristic of other corpus-oriented disciplines. A useful teaching piece for students of faith adjusting to academic religious studies. In this blog post, Tabor addresses the objection, often raised by students or religious laypeople, that (biblical) historians "exclude the miraculous" in their investigations. Not "suppressing" claims of the supernatural (e.g., miracles), historians welcome all such claims as contributing to our understanding of times and events, but refrain from adjudicating such claims beyond what is accessible to historical means. Can Evangelical Colleges and Seminaries Be Truly Academic Institutions? 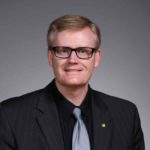 Alluding to several then-recent episodes of professors being forced from posts at evangelical institutions of learning, Enns asks whether schools dedicated to defending propositions grounded in private revelation and confessional dogma can be "truly academic" (and truly just to their instructors and students). Smith, David I.; and Smith, James K. A. The author recounts his experience, as a young observant Jew, of James Kugel's academic biblical studies course at Harvard. The piece focuses specifically on how Kugel reconciles his religious faith with his academic understanding, and how Jewish biblical scholars disagree with one another on what is involved in such a reconciliation. May be of special value for Christian learners undergoing a similar disruption, located as it is "safely" in a non-Christian context. A website for the seven-year study conducted by the Higher Education Research Institute (HERI) at UCLA examining the role that college plays in facilitating the development of students' spiritual qualities. "Using the Wesleyan Quadrilateral to Teach Biblical Studies in Christian Liberal Arts Colleges"
Biblical studies professors in Christian liberal arts colleges typically face greater hostility from students nurtured in fundamentalist churches than they do from those who attend mainline churches. Guiding them through their first academic study of the Bible poses many challenges. To avoid the course becoming a battlefield, and to facilitate integration on a higher level, the Wesleyan Quadrilateral provides a middle way between right-wing and left-wing extremes. This approach gives priority to the Bible as the primary source for determining theology and practice, but relies heavily on tradition, reason, and experience as well. It also promotes interaction with the spiritual, moral, and ethical concerns expressed in the biblical texts. To adopt the Quadrilateral involves active concern for character formation, inspiring students to become better people. If we merely dispense historical-critical or literary information without considering contemporary relevance, we bore students and fail in our duties as educators. This article explores the disconnection between ethical theory and ethical practice in ethics courses at secular U.S. colleges and universities. In such contexts academic ethics focuses almost exclusively on “ethical reasoning” and leaves the business of practical moral formation of students in the realm of “student life.” I argue this disconnection is inevitable given the dominant understanding that moral formation must be guided by a consistent ethical theory, and must eventuate in certain prosocial behaviors, while norms of pluralism and free inquiry mandate that academic courses not attempt to dictate certain views or behaviors as normative. Drawing on the Confucian model of moral cultivation expressed by the early Chinese figure Mengzi, I argue for a different understanding of moral formation that focuses on open-endedness, self-direction, and the acquisition of skills in directing attention and will. This approach avoids the most serious challenges to practical moral formation in secular contexts, and I suggest some broadly applicable principles for implementing these ideas in ethics courses. "New Testament Scholarship and the "Jesus Seminar""
This classroom exercise developed out of an effort to make the methodology and practical techniques of our field come alive for students of New Testament at a variety of undergraduate levels. Adapting the controversial "voting" technique of the Westar Institute's "Jesus Seminar," students vote with colored beads on the authenticity of Jesus' sayings in Matthew's Beatitudes (Matt. 5:3–12). The point of the exercise is not to judge or dismiss Biblical text, but to work actively and thoughtfully with the critical tools and methods of New Testament scholarship, to ponder the implications of academic assessments of "authenticity" when it comes to Biblical text, and to stimulate discussion concerning how we, as professional scholars of the Bible, approach the Gospels. One of the most illuminating finds in Barbara E. Walvoord's Teaching and Learning in College Introductory Religion Courses (2008) is what she calls “the great divide,” a mismatch between instructors’ goals for their courses, which are academic, and the students’ reasons for taking them, which relate to their personal interests and development. Motivation – or, rather, the lack thereof – is not explicitly considered as a potential victim of this mismatch. This article will turn its attention squarely to this issue. First, I will review data about the “great divide” and link them to the common practice of asking our students to bracket the personal when they take our courses. The article will juxtapose this practice with what research tell us about motivation, which will allow us to further explore why the divide Walvoord and others have identified is so problematic. The article will conclude with pedagogical strategies that can help instructors intentionally influence motivation in religion courses. Ultimately, I suggest that we may be doing students – as well as ourselves, as the purveyors of our discipline – a disservice, if we do not attend to (or, worse, if we actively avoid) what we know motivates students to learn. "Immigration, Exodus, and Exile: Academic Theology and Higher Education"
Recently scholars of religion have disputed whether theology properly belongs to the study of religion in institutions of higher education (McCutcheon 1997a, 1997b; Cady 1998; Brown and Cady forthcoming). At the same time, religious authorities have increasingly censored the work of theologians in seminaries and church-related schools; witness the loyalty oaths required of scholars in religious studies programs at some Protestant denominationally related colleges and the Catholic Church's recent stand expressed by Ex Cordae Ecclessiae. Both scholars who would exclude theology as a field from the study of religion and ecclesiastical authorities who would censor it fail to acknowledge the emergence of academic theology as a field that does not depend on institutional religious affiliation or personal confession of faith, a field that by its nature does depend for its continued existence on academic freedom. This article suggests a working definition of academic theology and then poses three questions: What might studying different kinds of theology academically teach us about religion? How, properly speaking, is theology as performed in a non-sectarian environment now a nomad wandering within the formal study of religion? What are the implications of this shift in status for how academic theologians teach? The article is a revision of the inaugural address, by the same title, given for the Margaret W. Harmon professorship in Christian Theology and Culture at Macalester College, Saint Paul, Minnesota, November 18, 1999. 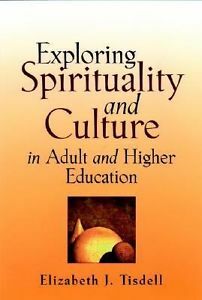 Executive Summary of the HERI (UCLA) study of the Spiritual Life of College Students. "The Spiritual Life of College Students: A National Study of College Students' Search for Meaning and Purpose"
Astin, Alexander W., et al. Results of the second phase in an ongoing major study of the spiritual lives of college students was released in a report called "The Spiritual Life of College Students." The study was conducted by the Higher Education Research Institute (HERI), a research center of higher education based in the Graduate School of Education & Information Studies (GSE&IS) at the University of California, Los Angeles (UCLA). 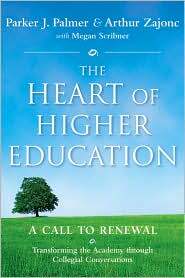 It is a groundbreaking attempt to gain insight into the spiritual lives and concerns of students and improve how faculties and administrators at US colleges and universities address this part of their students' lives. "The Spiritual Struggles of College Students: Illuminating a Critical Development Phenonmenon"
"Spirituality, Liberal Learning, and College Student Engagement"
Kuh, George D., and Gonyea, Robert M.
Explores the correlation between religion and liberal education in the U.S. Influence of spiritual or religious practices on student learning; Effect of spirituality on liberal learning; Ways in which religious practices affect learning. INSET: MEASURES OF STUDENT ENGAGEMENT. "Teaching as Confessing Redeeming a Theological Trope for Pedagogy"
By reclaiming the role of confession in the classroom, we can rethink the fundamental question of what it means to teach religion. That is, the project of thinking about the religious dimension of pedagogy should also force us to rethink religious studies in general. Pedagogy, after all, is not an incidental expression of religious commitments but is instead one significant place where the religious imagination takes shape and form. All religious reflection is confessional, because scholarship is only one form of pedagogy, and teaching is the act of saying who we are, where we are from, and where we are going. "How . . . do we represent religious experience, in all of its various forms from apostasy to rapture, in ways that remain faithful to the rules of careful historical scholarship, but without inadvertently denigrating the experience as such by making it seem subordinate to other goals?" How Corrosive is College to Religious Faith and Practice? Regnerus, Mark D.; Uecker Jeremy E.
"The Ethics of Effective Teaching: Challenges from the Religious Right and Critical Pedagogy"
This essay asks: What are the ethics of engaging self-identified "conservative" students in topics and processes of learning that may unravel their world-view and possibly their personal lives? We should take their concerns, fear, and distrust seriously and not simply dismiss them as ignorant. We should strive to be "trustworthy" educators, guiding students through the consequences of transformative education. This paper argues that conservative students are critically examining and reacting to the liberal academy by leveling critiques similar to those found within feminist, post-colonial and post modern pedagogies. 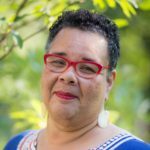 This essay reviews contemporary postmodern, postcolonial, and feminist pedagogies, which analyze bias and power in the classroom and have sought to represent marginalized voices in the classroom in order to challenge the way education often simply serves and protects the interests of the privileged. Pedagogies centered on subject or disciplinary method cannot secure a trustworthy pedagogy since method, thinking skills, and subjects are themselves bias-laden. But critical pedagogy offers insights to help us achieve the goal of becoming trustworthy educators for students coming from a wide spectrum of religious perspectives. 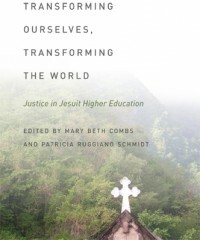 Abstract: Transforming Ourselves, Transforming the World is an insightful collection that articulates how Jesuit colleges and universities create an educational community energized to transform the lives of its students, faculty, and administrators and to equip them to transform a broken world. The essays are rooted in Pedro Arrupe’s ideal of forming men and women for others and inspired by Peter-Hans Kolvenbach’s October 2000 address at Santa Clara in which he identified three areas where the promotion of justice may be manifested in our institutions: formation and learning, research and teaching, and our way of proceeding. Using the three areas laid out in Fr. Kolvenbach’s address as its organizing structure, this stimulating volume addresses the following challenges: How do we promote student life experiences and service? How does interdisciplinary collaborative research promote teaching and reflection? How do our institutions exemplify justice in their daily practices? Introductory pieces by internationally acclaimed authors such as Rev. Dean Brackley, S.J. ; David J. O’Brien; Lisa Sowle Cahill; and Rev. Stephen A. Privett, S.J., pave the way for a range of smart and highly creative essays that illustrate and honor the scholarship, teaching, and service that have developed out of a commitment to the ideals of Jesuit higher education. The topics covered span disciplines and fields from the arts to engineering, from nursing to political science and law. 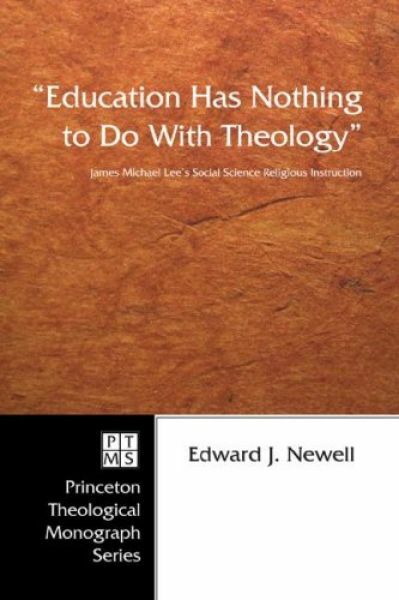 The essays offer numerous examples of engaged pedagogy, which as Rev. Brackley points out fits squarely with Jesuit pedagogy: insertion programs, community-based learning, study abroad, internships, clinical placements, and other forms of interacting with the poor and with cultures other than our own. This book not only illustrates the dynamic growth of Jesuit education but critically identifies key challenges for educators, such as: How can we better address issues of race in our teaching and learning? Are we educating in nonviolence? How can we make the college or university “greener”? How can we evoke a desire for the faith that does justice? In the face of a mounting mental health crisis among college students, professors have an opportunity and responsibility to respond to their students’ psychological distress. Psychological and historical scholarship suggests that the proliferation of modern media and breakdown in traditional sources of existential meaning like religion are significant factors in young adults’ declining mental health. In response to this crisis, this article examines the crucial role of the imagination in constructing meaning and proposes an imagination‐centered pedagogical process by means of which teachers can assist students in recovering meaning and integration in their lives. "Prayerful Teaching in Higher Education: A Survey of Themes"
One page TTR Teaching Tactic: structure, prompts, and evaluation rubric for final summative exams conducted orally with individual students. "The Christian College Experience and the Development of Spirituality Among Students"
English, Leona M. and Marie A. Gillen, eds. Timpson, William M.; Foley, Jeffrey M.; Kees, Nathalie; and White, Alina M., eds. 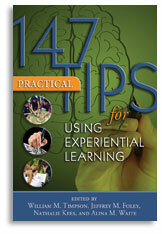 The latest addition to our continuing 147 Tips series, 147 Practical Tips for Using Experiential Learning, explores the many options and strategies available in the exciting world of experiential learning. Editors Timpson, Foley, Kees, and Waite have gathered a myriad of practical and insightful tips and brought them together in a delightful and easy-to-use guide that illuminates a pivotal and rewarding subject. Professional societies in religious studies negotiate academic practices and confessional commitments. Here, Lester narrates one episode in the Society of Biblical Literature's understanding of "critical" biblical studies. Inside Higher Ed narrates the dismissal of venerable biblical scholar Bruce Waltke after his remarks concerning evolution, and discusses issues around academic freedom at confessional seminaries. Inside Higher Ed narrates the dismissal of biblical scholar Christopher Rollston after his HuffPo opinion piece about the marginalization of women in biblical texts. The article discusses the relationship of tenure and donor support at a confessional seminary. Teaching theology within academic institutions with confessional commitments and theologically conservative students requires holding together, in creative tension, two pedagogical goals. The challenge is to promote rigorous academic inquiry by encouraging student openness to engagement with perspectives that challenge their own beliefs while simultaneously constructing a course that is experienced as a safe space where students do not feel their personal faith is under attack. This essay presents the argument that a methodological framework for introductory theology courses informed by Alasdair MacIntyre's reflections on the nature of living traditions holds great promise for achieving these objectives. The essay will also describe how a creative extended analogy drawn from the game of basketball facilitates student comprehension of this initially abstract intellectual framework. Finally, the essay will offer some representative examples of student participation in course online discussion forums in order to illustrate the effectiveness of this approach for student learning. Bazzano, Elliott A.; Truschke, Audrey; and Yeo, Jayme M.
In this set of essays, three authors provide different perspectives on whether personal religious sensibilities and identities affect the ways we teach religion. Elliott Bazzano discusses how, as a white Muslim convert teaching at a Catholic college, he incorporates selective autobiographical anecdotes into his classes as a way to problematize the meaning of “insider” and “outsider,” and pushes his students to recognize the many layers of identity that any given person embodies at a given time. In the second essay, Audrey Truschke explains why she makes no reference to her own religious beliefs or affiliations in class as part of her strategy to demonstrate how students can study any religion regardless of personal convictions. In the third essay, Jayme Yeo explores the benefits of discussing personal religious identity as a means to resist the categories of “inside” and “outside,” which she sees as heterogeneous concepts that do not always offer explanatory power upon close examination. Role‐playing games have been a part of scholarly conversations about pedagogy for several decades. However, more work is needed in understanding how gaming pedagogy can best fit with and augment particular disciplines. After providing two examples of role‐playing games that have been used successfully in teaching the New Testament, this article argues that role‐playing games contribute to theological and religious studies classrooms by forming positive values (e.g. openness to multiple viewpoints, civility, and empathy) and assisting students in integrating their faith and learning. Because of the low‐risk settings that games provide, students can practice skills that increase their achievement of learning outcomes and contribute to their value formation and faith formation. Abstract: Explores the nature and role of wisdom in education. Modern scholarship has struggled to come to terms with the meaning of wisdom and its significance in the field of education. This book examines the importance of pursuing wisdom in schools by turning to ancient and medieval sources for clarification concerning the nature of wisdom. Sean Steel argues that our current emphasis on the development of rigorous critical-analytic thinking skills, on assessment, and on accountability in education has negatively impacted the ability of schools to foster an environment in which both students and teachers might pursue wisdom. Although in recent times efforts have been made to incorporate the pursuit of wisdom into schools through Philosophy for Children (P4C) and contemplative education programming, such initiatives have missed their mark. Steel therefore recommends not more accountability in education for the purpose of ensuring global competitiveness, but rather the institutional promotion of periods of leisure or schole in the school day. We analyzed 2,621 written student comments to better understand themes which most contribute to religion classes being rated high or low in terms of the spiritual benefit students received from the class. From 2,448 religion classes taught from September of 2010 through April of 2014, comments from the top 61 (2.5 percent) and bottom 51 (2.1 percent) rated classes in terms of being “spiritually inspiring” were compared for emerging themes. The most frequent themes in higher-ranked spiritually inspiring courses were (1) intellectually enlightening and (2) applied religion to life. In lower-ranked spiritually inspiring courses the themes (1) class time was ineffective and (2) poor assessments were prevalent. We explore the practical implications from these and other findings. 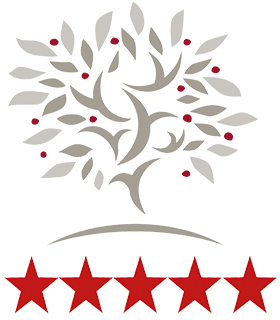 A non-profit organization working to transform higher education by supporting and encouraging the use of contemplative/introspective practices and perspectives to create active learning and research environments that look deeply into experience and meaning for all in service of a more just and compassionate society. "Teaching the Bible along the Devotional/Academic Faultline: An Incarnational Approach to the Quarrel between Love and Knowledge"
There seem to be two irreconcilable approaches to reading the Bible, and these often collide in an undergraduate's first college class in religion. Students from a devotional background find the scholarly approach a disappointment compared with their preferred way of reading. Yet upon closer examination the limits of an exclusively devotional way or an exclusively academic way soon become apparent. A way beyond this impasse is described as an incarnational approach, which seeks to honor the integrity of the literary, cultural, and historical features of the Bible while also taking seriously the personal faith of both student and instructor. This strategy is not original of course, but is a case study of a way in which the Christian tradition may address the quarrel between two competing ways of reading and turn it into a conversation. "Student Responses to a Teacher's Religious Goals"
"On the Necessity of Crisis: A Reflection on Pedagogical Conflict and the Academic Study of Religion"
A pervasive, yet under-discussed, problem in religious studies classrooms is the presence of faith crisis. Many students face a type of cognitive dissonance when faced with the critical-analytical approach in the academic study of religion. This essay, in an open and conversational tone, addresses the learning opportunity underlying such crisis moments. The discussion begins with a delimitation of what constitutes the secular university's goals in pedagogy and research. After arguing that a reductive limitation of knowable knowledge construction is to be the focus of the university, the discussion moves to the presence of cognitive stages of development, or liminal rites of passage as analogous for explicating the learning process in which crisis moments emerge. Finally, the discussion concludes with a reflection on the coherence of reductive limitation and collaborative pedagogy. A brief essay by a religious studies teacher asking: “how does my religious faith affect my teaching? how does one negotiate religious bias when teaching about religions? as an insider on a religion, what criteria guide and shape my scholarly life?” He argues that because he teaches at a state institution he is obligated to be neutral in the advocacy of one religion over another. but he wonders how his faith affects how he approaches the subject matter. On this site you will find links to many articles, Web sites, and other resources to help you in the process of integrating your faith with the knowledge claims you will encounter at college or the university. Increasing numbers of college students enrolling in religion courses in recent years are looking to develop their religious faith or spirituality, while professors of religion want students to use and appreciate scholarly tools to study religion from an academic perspective. Some scholars argue that it is not possible to satisfy both goals in the classroom, while authors in this journal have given suggestions on how to bridge the gap between faith and scholarship. I argue that such authors are correct and that, in my experience, historical-critical methods can help devout students understand the original texts in their own religion better, comprehend why changes in interpretation have occurred over time, and appreciate the values in religions other than their own. Not all devout students are comfortable with an academic study of religion, but many can attain a more mature faith by such an approach. "Students' Spirituality and "Big Questions" in Introductory Religion Courses"
A study of sixty-six highly effective teachers of introductory theology and religion courses in various types of institutions reveals very complex challenges for instructors. The majority of students have as a goal their own religious and spiritual development. Faculty members’ most frequent goal is critical thinking. Students much less frequently mention critical thinking, and their expectations and voices may be more appropriate for a place of worship or a counseling center. To meet these complex challenges, faculty encourage four student “voices”: the questioner, the applier, the thinker/arguer, and the autobiographer. These voices can help students explicitly to bring their own experiences and beliefs into relationship with course material and critical thinking. Careful planning and guidance for students are the key to making these voices work well. These three articles deal with the issue of faith in the classroom – whether one should teach “to,” “for,” or “against” faith. While their institutional settings and experiences are different, the authors all contend that more serious reflection needs to be given to the matter of how religious commitment plays out in our diverse pedagogical settings. The initial article by Carolyn Medine surveys the current climate regarding student spirituality in the classroom, the broader governmental concerns, and, the tensions that inform the choices available to a professor. Todd Penner's essay analyzes faith-as-ideology in the undergraduate classroom, and Marjorie Lehman's contribution analyzes how the issue manifests differently in Jewish Studies. When faculty unexpectedly encounter students' religious ideologies in the classroom, they may respond with apprehension, frustration, dread, or concern. Instructors may view this exchange as a confrontation that threatens the very heart of empirical study, and worry that this will lead to a dead-end in the learning process. The purpose of this book is to explore what happens—and what can happen—in the higher education, and even secondary school, classroom when course content meets or collides with students' religious beliefs. It also considers the impact on learning in an environment where students may feel threatened, angry, misunderstood, or in which they feel their convictions are being discredited. This is a resource that offers ways of conceptualizing, engaging with, and responding to, student beliefs. This book is divided into three sections: student views on the role of religion in the classroom; general guidelines for responding to or actively engaging religious beliefs in courses (such as legal and diversity considerations); and specific examples from a number of disciplines (including the sciences, social sciences, humanities and professional education). Professors from public, private, and religious institutions share their findings and insights. The resounding lessons of this book are the importance of creating a learning space in which students can express their beliefs, dissonance, and emotions constructively, without fear of retribution; and of establishing ground rules of respectful discussion for this process to be valuable and productive. 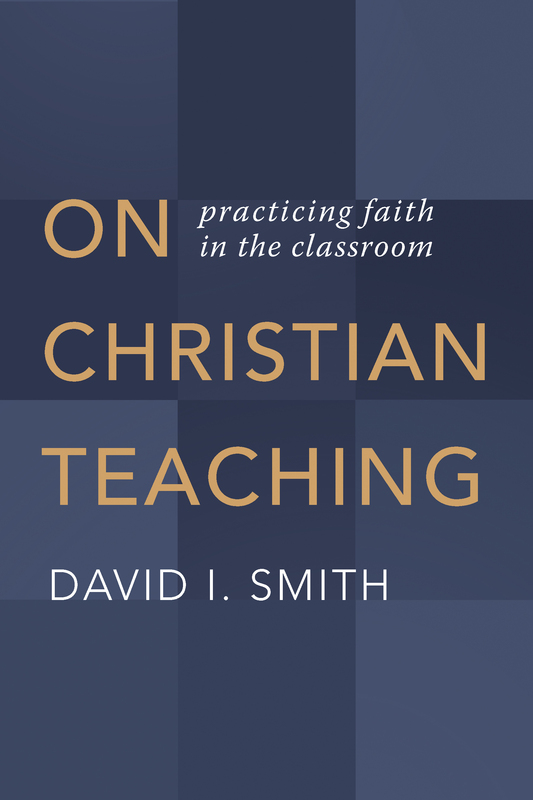 Christian teachers have long been thinking about what content to teach, but little scholarship has been devoted to how faith forms the actual process of teaching. Is there a way to go beyond Christian perspectives on the subject matter and think about the teaching itself as Christian? 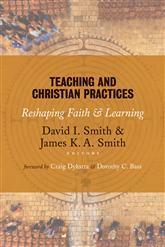 In this book David Smith argues that faith has a critical role in shaping pedagogy and the learn-ing experience.